Recently the FCC (a agency within the government of the United States that regulates media, such as radio, television and of course the internet) repealed the regulations known as Net Neutrality. You may have seen that term float around the internet a lot lately as people fought to stop the repeal. Unfortunately, the FCC is a regulatory body comprised of people not beholden to the American public. They could decide pretty much anything they wanted, regardless of the demands of the public. So, you may be wondering, what exactly is Net Neutrality and how will its repeal affect me? Net Neutrality is a set of regulations that prevents ISP’s from discriminating against traffic towards certain content on the internet. This has several layers. For one, it means that ISP’s can’t cut up your internet access into slow and fast lanes. It also means they can’t charge you separately for each service you use on the internet. For instance, you could be paying $50 per month for a basic package that just includes Google and Wikipedia. Then you’d have to pay an additional $5 for access to YouTube, another $5 for Facebook, another $5 for Gmail… You could compare it to the company that provides your house with electricity charging you extra for your fridge, microwave, television and so on. 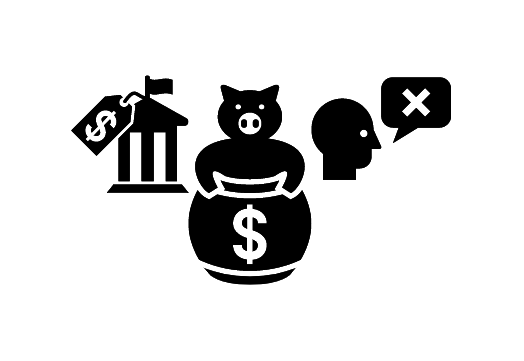 Another layer affects the people that produce content or provide services on the internet. 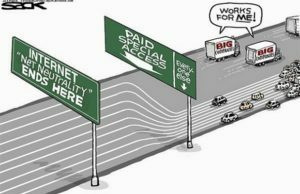 Under Net Neutrality, ISP’s also cannot divide traffic to websites, apps or streaming services (or any other type of online service) into slow and fast lanes. They also cannot limit the amount of bandwidth that goes to these apps and charge the owners more when their bandwidth runs out. 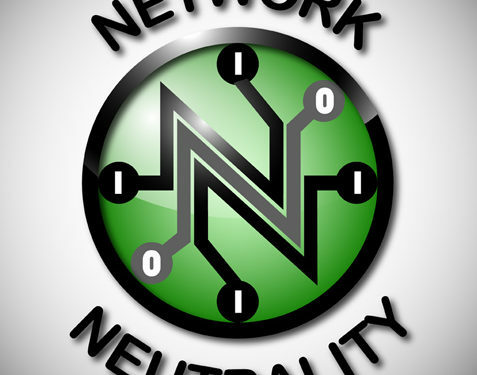 In essence, Net Neutrality prevents ISP’s from forcing themselves in between consumers and producers on the internet and taking a cut from both sides. Technically, ISP’s already serve as middlemen by providing internet to everyone, but Net Neutrality ensures they cannot do so in a predatory fashion. Lastly, Net Neutrality also ensures that ISP’s cannot outright block content on the internet. This ensures that, say, right wing political organizations cannot make deals with ISP’s to block all sites that belong to left wing political organizations. An ISP also cannot block content that belongs to their direct competitors. For instance, many ISP’s in the US are owned by cable companies, who directly compete with services such as Netflix or Youtube. Without Net Neutrality, ISP’s would be free to block or throttle these services to force consumers to adopt the services the ISP provides. These are the main arguments provided by Net Neutrality supporters, who claim that without Net Neutrality the internet in the United Stated will cease to be free and open. However, the other side has also made arguments against Net Neutrality. These mainly focus on two claims: One is that Net Neutrality stifles investment and deters competition in the marketplace. However, a closer look shows that most of the arguments against Net Neutrality don’t have much merit. ISP’s have long complained that Net Neutrality has stifled their investment into internet infrastructure. They told their investors the opposite. Since law in the United States states that businesses must be truthful with their investors, it’s very likely that ISP’s were lying to the public to strengthen their case against Net Neutrality. The question of whether or not Net Neutrality deters competition among ISP’s is slightly more complicated. 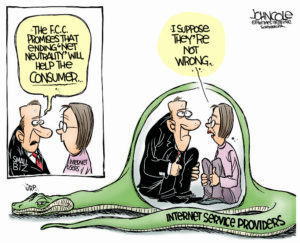 To be blunt, no, there is nothing in Net Neutrality that deters competition. The reality is that what stops new ISP’s from competing with more established ISP’s is the enormous startup costs. For a new ISP to enter the US marketplace they would first have to build billions worth of infrastructure. That’s a price which most new businesses simply can’t pay. Add to that the fact that there’s no untapped markets in the US when it comes to internet. A new ISP coming into the market will have to compete with established ISP’s on top of the startup costs, regardless of where they go. Many opponents of Net Neutrality have claimed that with Net Neutrality gone, the workings of the free market will fix any of the resulting problems. However, I dare say the free market is not applicable when it comes to ISP’s in the United States, since over 50 million Americans don’t have access to more than one choice of ISP, and over 100 million only have a choice between ISP’s that have already violated Net Neutrality. There are enormous areas in the United States where people have very little or no choice of ISP. The people living there will only have a choice between internet that’s been censored and chopped up by their ISP or no internet at all. In Europe there’s a solution to this issue that I feel deserves more attention. We use regulation that forces existing ISP’s to allow their infrastructure to be used by other ISP’s. This opens the market to competition in a way that’s otherwise impossible. This may prove to be another solution to the Net Neutrality repeal, but it’s not one I’ve seen anyone openly discuss in the United States. It will still be several months before Net Neutrality is entirely repealed. The FCC might have rushed the vote to repeal it through, but they can’t speed up the entire process. In the meantime there’s several movements that are seeking to undermine the repeal effort or undo the damage that results. For one, the state of New York has already stated it’s preparing a multi-state lawsuit against the FCC. This lawsuit seeks to overturn the FCC’s decision regarding Net Neutrality. Several members of congress have stated they were looking into proposing Net Neutrality legislation. This would put Net Neutrality out of reach of the FCC to tamper with. There have also been several cities that have proposed to provide broadband internet to their citizens at a small fee. This would ensure that the people will have access to a free and open internet. Net Neutrality isn’t gone just yet. However, if it is allowed to die with no solutions in place this could prove disastrous for the United States. It would mean the average consumer will be forced to pay much higher fees for a much more limited internet. This could choke the online market by weeding out any businesses that can’t pay for the bandwidth they need. Meanwhile, ISP’s would be cutting sweetheart deals with their affiliates. It could sterile the internet as a whole of political discussion as ISP’s start banning anything their investors disagree with. This can apply to left wing or right wing politics equally. In this digital age many of us cannot imagine a life without the internet anymore. We use it to manage our finances, seek employment, watch the news and for many it’s a direct of income. Much of this would be impossible if the internet wasn’t also free and open to everyone, which is why it’s so important to protect the internet we know and love.